The alarm rings out loudly, piercing the pitch black silence of the morning. It’s 4.30 am, and I jump up eager for the day that lies ahead. 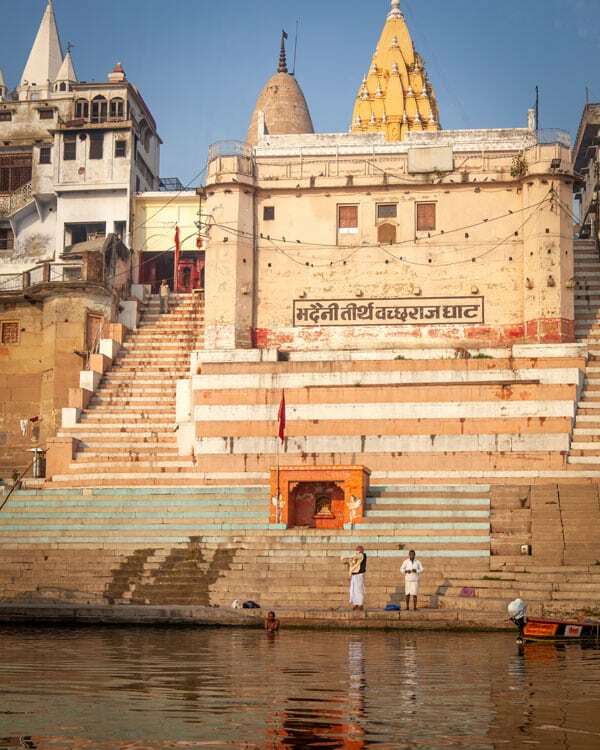 I’m in Varanasi, one of the holiest Hindu cities in the world, where countless pilgrims have ventured to bathe in the sacred waters of the Ganges, the revered rivers which flow through the country but are at their most celebrated here. A dip in the shallows is said to wash away all your sins, and for many, it is a once in a lifetime event. There’s still a chill to the air as we drive through the colourful roads, dotted with rickshaw drivers waking from their slumber and lazy cattle hunting for their morning feed. At this hour the streets seem quiet, almost serene, a far cry from the throngs of people I’ll experience this week at the Prayagraj Kumbh Mela, the worlds largest faith-based gathering. 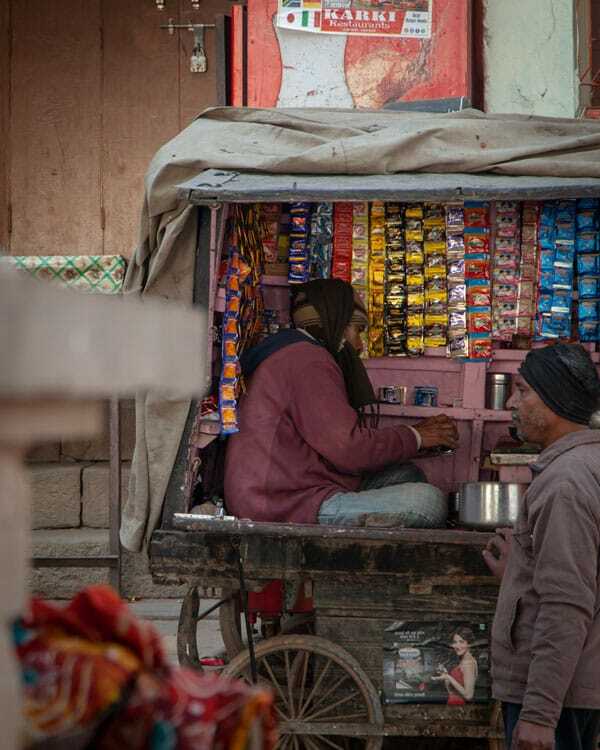 For now, small groups huddle around the handful of open stalls, sipping on Chai and waiting for the sun to break. On the other side of the road, lonely figures lay, faces illuminated by the flame of a match signalling their first nicotine hit of the day. 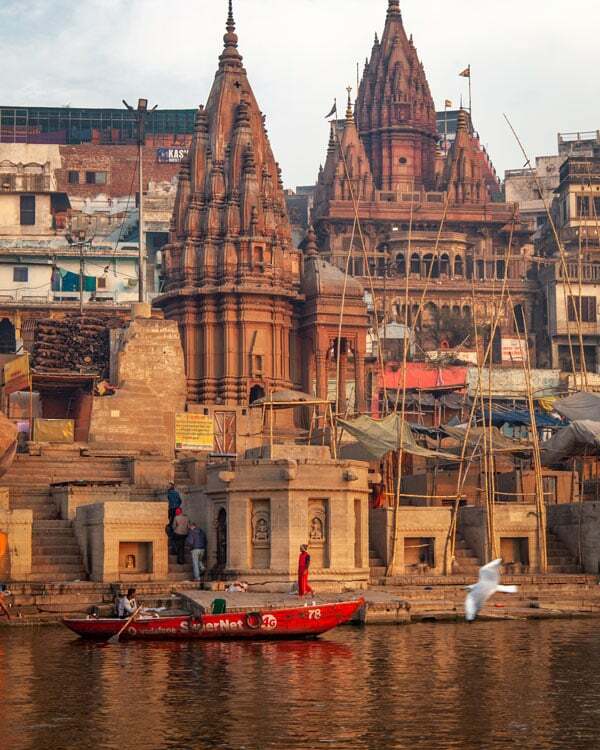 Varanasi is perhaps the place I’m most excited to visit in India, though it’s taken me five tours of the country to make it here. As we slide into a slowly rocking boat at Assi Ghat, one of the furthest south in the river, I smile contently knowing it has been worth the wait. 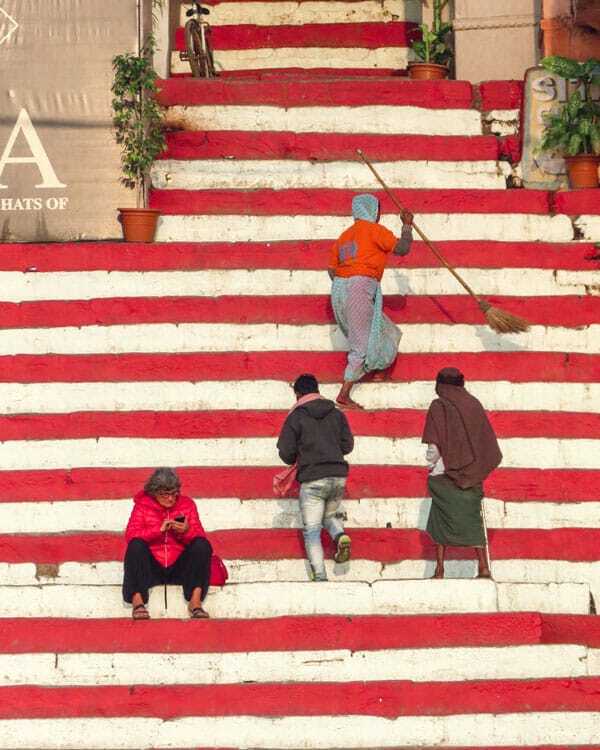 The Ghats are the staircases which lead down into the waters of the Ganges. 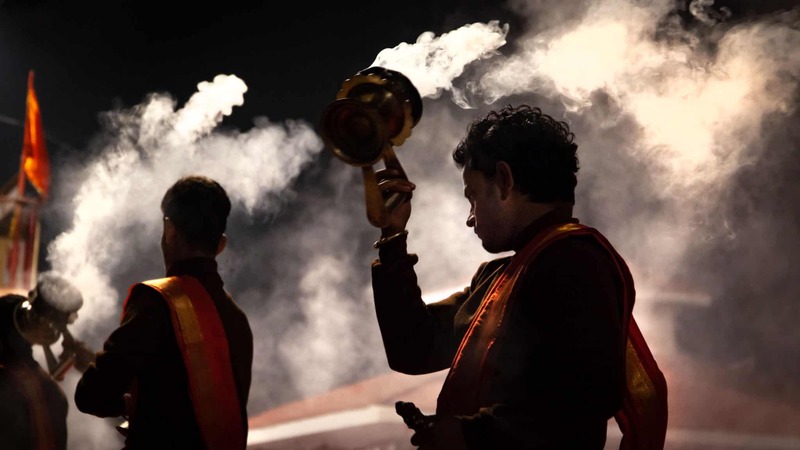 Stretching around 7 kilometres, the 80 odd Ghats are home to young boys playing out their cricket dreams, yoga poses that rival contortionist, and of course, the burning of bodies that mark the end of ones personal journey on this earth. Before boarding our vessel we witnessed the morning chanting ceremony, the Subah e Banaras, performed each day prior to sunrise. In single file, a line of immaculately dressed boys, in their orange robes, called out into the dark skies as flames and candles circled them. Nearby, ladies tossed objects into a fire provoking a shower of sparks to rain back down on them. The modest crowd and I sit in awe, watching on as the sky slowly turned to blue and the last embers of the morning ceremony fade. ‘This is beyond magical’ I murmur to Janet who silently nods in agreement before shuffling towards the nearby docks. It wasn’t even 6 am and my day had already been made. 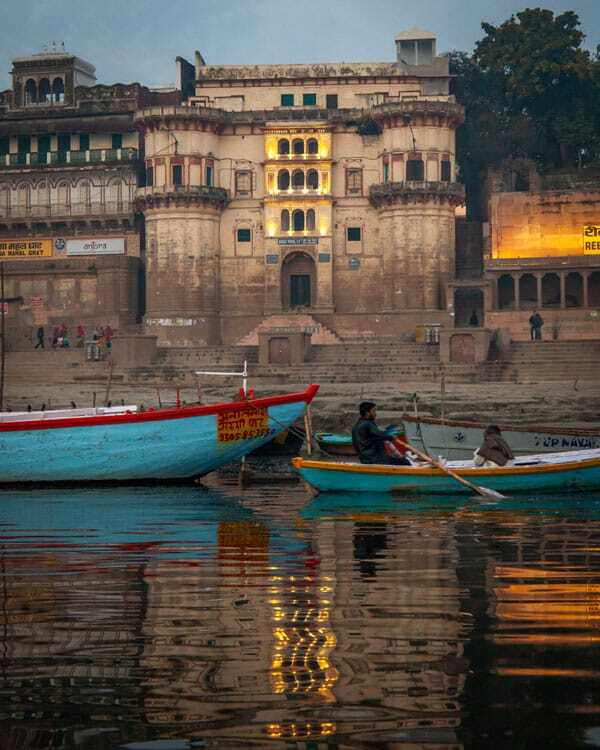 Varanasi isn’t like any place you’ve ever been before; and as our boat floats along the river, uniquely south to north thanks to the lie of the land, you can’t help but feel like you’re slightly intruding. These intimate moments, and especially the funerals on the Ghats, are what makes India such a fascinating, raw and yet beautiful destination to explore. Traditions are age-old here, and while for many coming to bathe in The Ganges is a once in a lifetime journey, for others it marks the end of their lifetime, as their ashes form on the Ghats and fade into the water below. I believe to truly visit India you have to see it in all forms. The iconic and breathtaking view over the Taj Mahal, the raw and unrelenting reality of the slums, and here, the traditions which seem so far from home. Sure, you could cherry pick your experiences, but I think to do so would be a massive injustice to the vast variety of realms in modern day India. A prickle of warmth hits my neck as the sun starts to rise, sending a golden hue across the river banks. No one knows how many bodies have been committed to the water here. The cremations aren’t licensed or organised, those who wish to bring a body here, and many do from across the country, can do so freely. Compared to our funerals in England, this open-to-all tradition is at first hard to stomach. 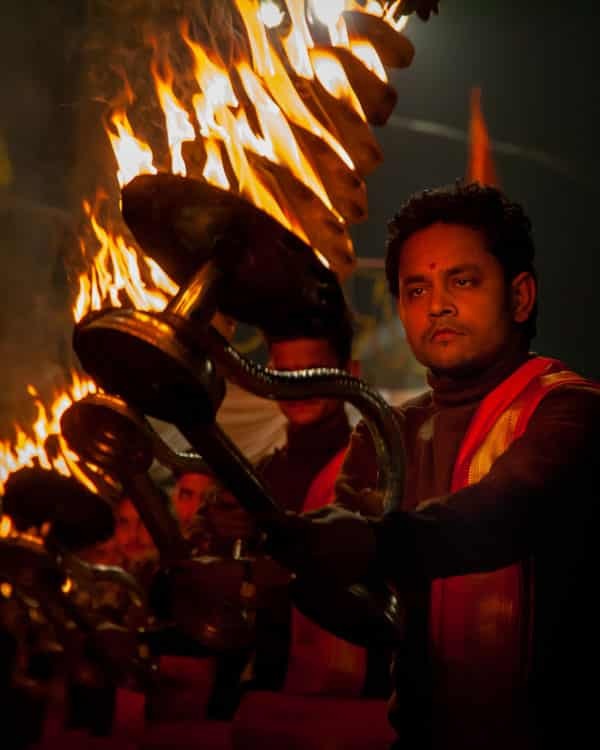 With well into the hundreds of cremations a day in Varanasi, this is an experience you’ll be hard-pressed to avoid when you venture here. My eyes dart everywhere, and from the unique vantage point of the rickety wooden boat, you have a front row ticket to the cities soul. I’m not going to lie; it’s a lot to take in. Some of my counterparts on the boat avert their eyes from the burning flesh on the banks buried below piles of wood, others gaze on almost gripped by the ceremony’s significance. In Hindu culture, the burning of the body is to free the soul from the physical body with the belief the next world is more important than the last. I take solace in this as I see the final embers of one man, or woman’s, existence in the human form fade into the flames. 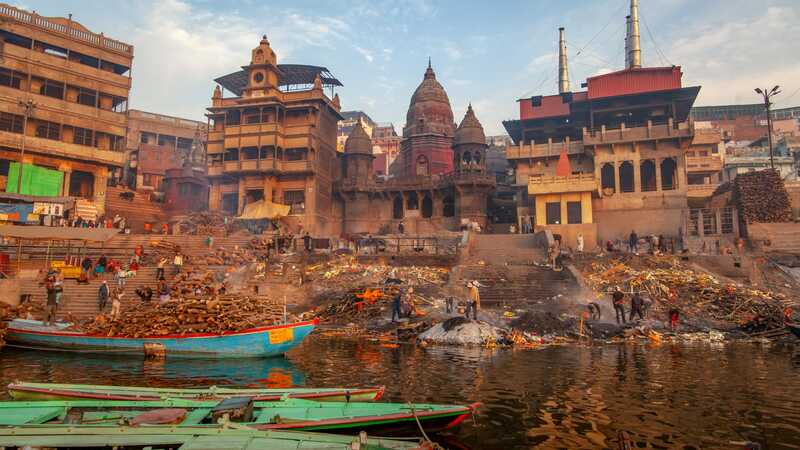 Rusty red palaces and towering temples line the banks of the river, broken up by those carting wood to the cremation sites and open-air laundrettes dousing bedding in the water of the river. Our boat pauses, and as the engine dies down, we hover in near silence. There are countless other boats around, but in those few moments, I felt I was alone. The spiritual connection in this city is evident, even to an atheist like myself. We glide back to the docks wearing broad grins, with flowers and candles dancing delicately around us. Back on dry land, we climb the surprisingly steep Ghats as goats bound them with ease. Away from the riverbank is a maze of alleyways and those sweeping them free of dust. Around a corner, we stumble upon a mud wrestling area, the akhada, a traditional sport in Varanasi. Unlike the glorified movie version, here partners tackle on dry mud, often with arms locked to heads to bring appointments to the floor. My mind turned to sustenance, somehow at only, 9 am it already felt like a full day of exploring had passed and my stomach was chanting as loud as the morning ceremony. 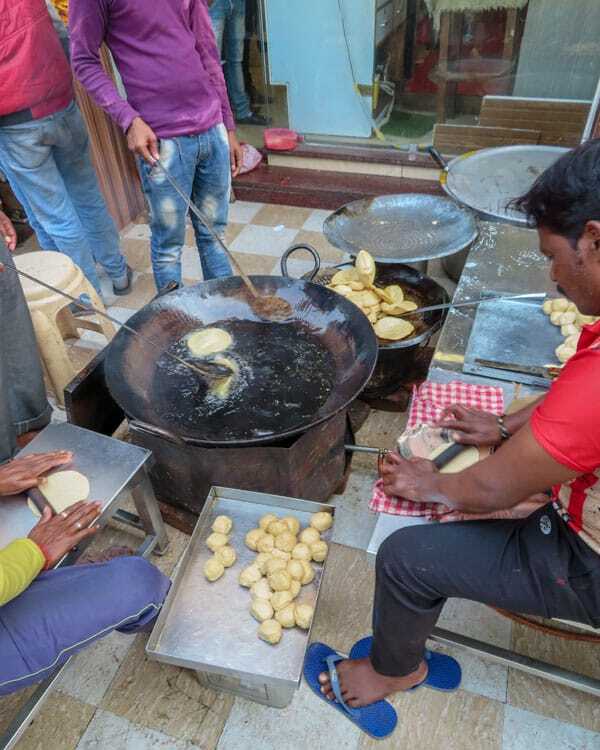 Allo-kachori and piping-hot jalebis are the local early hours’ staple, so we ventured off to find these promised tasty treats. 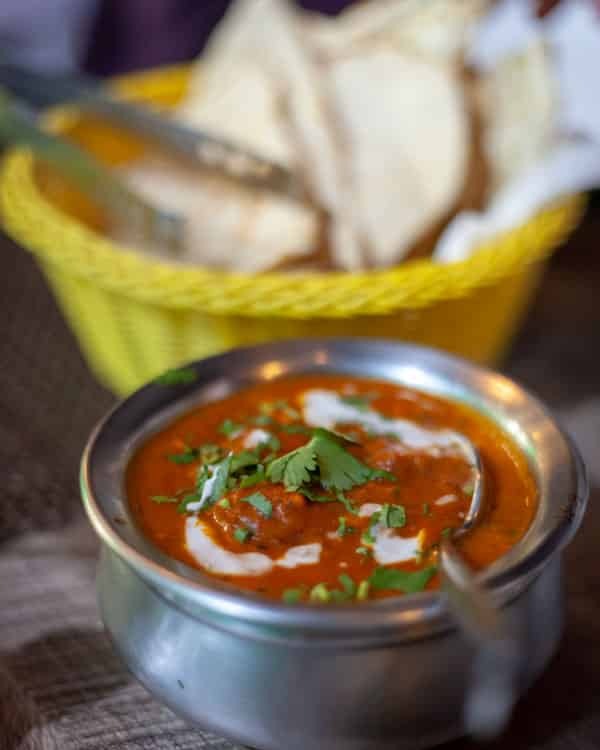 The throngs of people outside Shree ram bhandar, a busy cafe and outside stool set up away from the rivers told me all I needed to know: this was going to be up to the hype. I was impressed by how serious the operation looked, multiple hands serving and even more sat behind, spooning the delicious looking dough into the large pan. I waited patiently in line behind the crowds of locals, all vying to get their hands on this hot property. The wait was worth it, and the slightly crisp fried dough eased the spicy kick of the curry. The Varanasi’s Ghats are indeed a star, but another of its points of pride is the Benarasi Silk Saris, famous throughout the country. 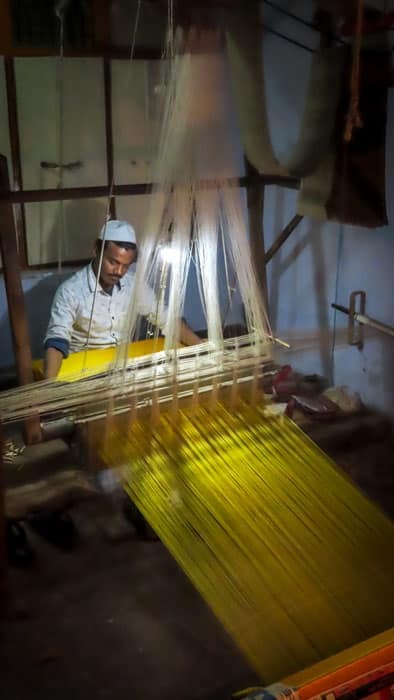 So much so, in January 2019, The Universe of Crafts and Textiles here was opened, and awarded a centre of excellence, by none other than the prime minister of India himself. The giant complex pays homage to the weaving process and silk making history of this city. The hand looming goes far beyond clothing fabric here though, it’s art, and the woven ways of Varanasi are celebrated here in colourful boutique stores and an extensive museum. Carpets to cue-cards walk you through the history of fabric. Away from the modern gleam of the imposing new building, where some of the hanging displays cost upwards of two-hundred-thousand rupees, you’ll still find the traditional craft happily being carried out in the cities criss-cross of alleyways. The weaving district announces itself before you’ve seen a single thread of silk. An almost deafening chorus of power looms pounding the patterns together leak out of windows and wide-open doors, echoing throughout the neighbourhood. 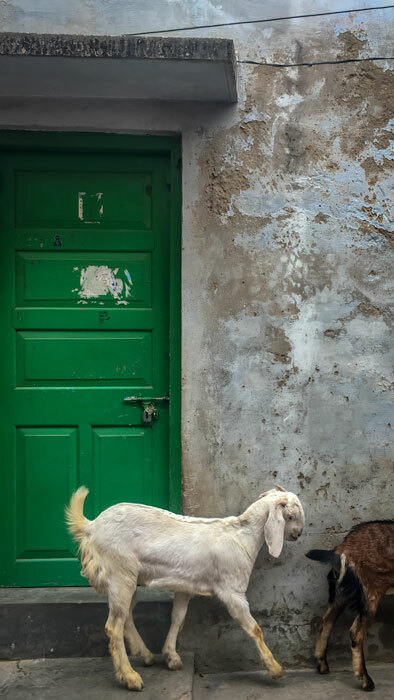 We follow a wandering goat donning a make-shift jumper down a side alley and head inside the archway of a more traditional production room. Behind the door are experienced well-worn fingers effortlessly weaving the fine thread together from the hand stamped templates which hold the treasured designs of the Saris. If you’re looking for a souvenir from Varanasi, it’s safe to say these silk goods are a suitable, and local, gift. 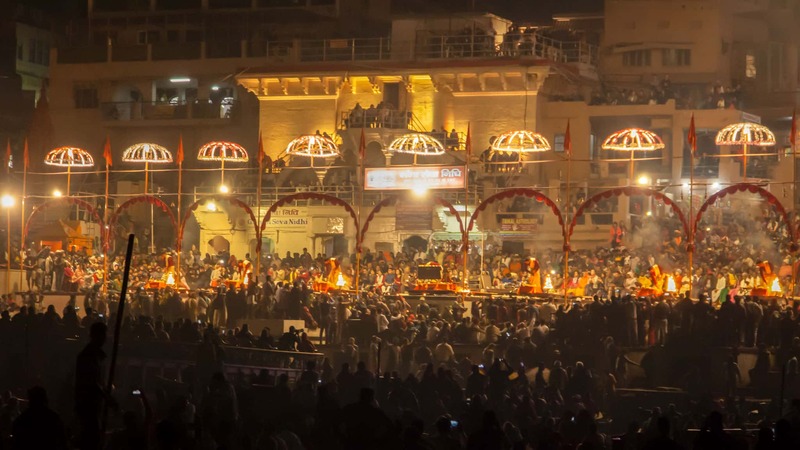 It’s time to return to the waters, this time to visit Dashashwamedh Ghat for the evening Ganga aarti. As our boat chugs along the river, bursts of colourful music appear, and children run free with their kites trailing above. We wonder why the streets are so quiet, but as we turn a slight bend in the spiritual body of water, we are greeted with an outburst of activity. Countless boats, maybe even in the hundreds, are patiently floating at the Ghats side, slowly crashing into one another as everyone tries to get a view of the ceremony. On land, the Dashashwamedh Ghat is also overflowing. Thousands upon thousands of people are here to witness the colourful event in all its divine glory. We were near the back of the pack, and thus giving up on being able to take decent photos, I settle into my seat to truly appreciate the magic of the moment. As floating candles balancing on leaves and flowers hover around us, I feel a clear sense of gratitude pass over me. This is the India we dream of as foreigners, and on a slightly chilly Thursday night, I’m feeling like an extra in my Bollywood movie. As our slightly battered boat crashes into the Ghat, and lapping waves pull us in and out, we descend into the multitude of moving people heading towards the city. The roads are awash with locals, tourists, bikes and cattle moving in every direction. A weary group of pilgrims saunter past us, bags balanced on their heads and ready to rest for the evening on the river banks. I assume they are on their final steps towards the Kumbh Mela in Prayagraj, also my next stop. Away from the never-ending honking-horns and calls of rickshaw drivers on the main road, tiny alleyways lead off to Sari shops and quaint cafes. Varanasi is a cocktail of chaos with conclaves of calm, and we slip into a blue paint flaked storefront to sample a Lassi, the yoghurt and honey based drink of India. The rest of our evening is spent hunting out edible treats. 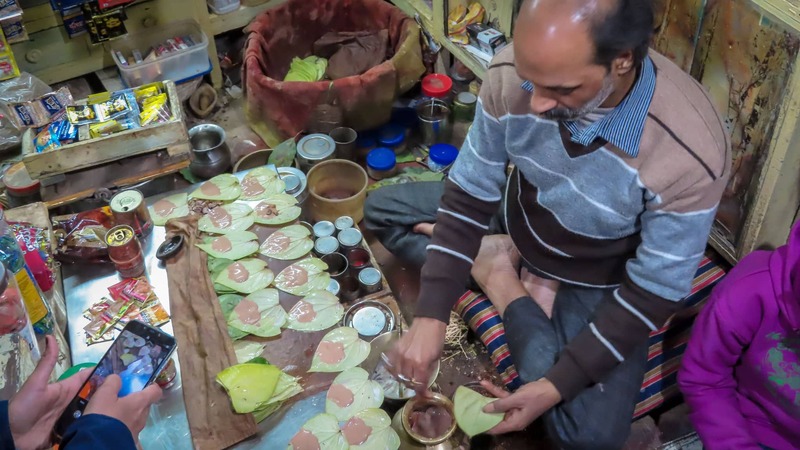 Banarasi Paan, an Indian betel-nut leaf stuffed with spices, sweets and rose jelly, is revered in Varanasi, but was a non-starter with I, tossing away most of mine. 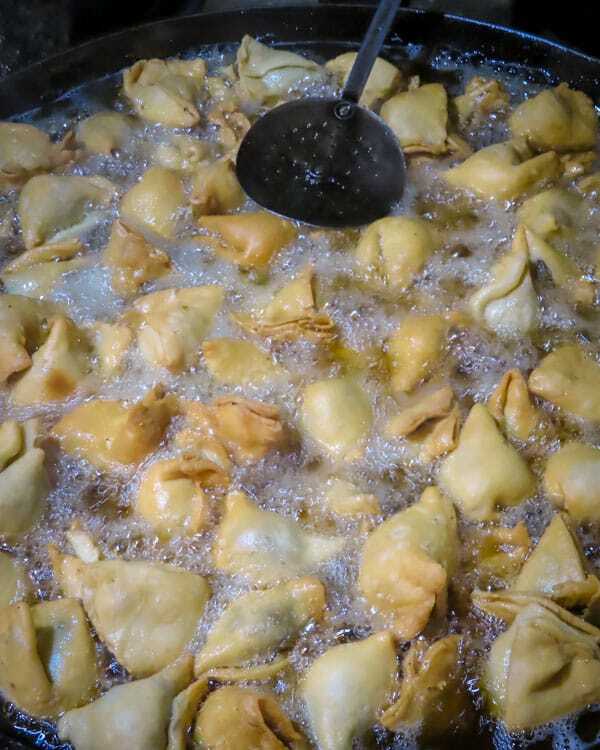 Freshly cooked Samosas on the side of the street, for a mere few cents each, hit the spot though and leave me with a spice-tinged palate. 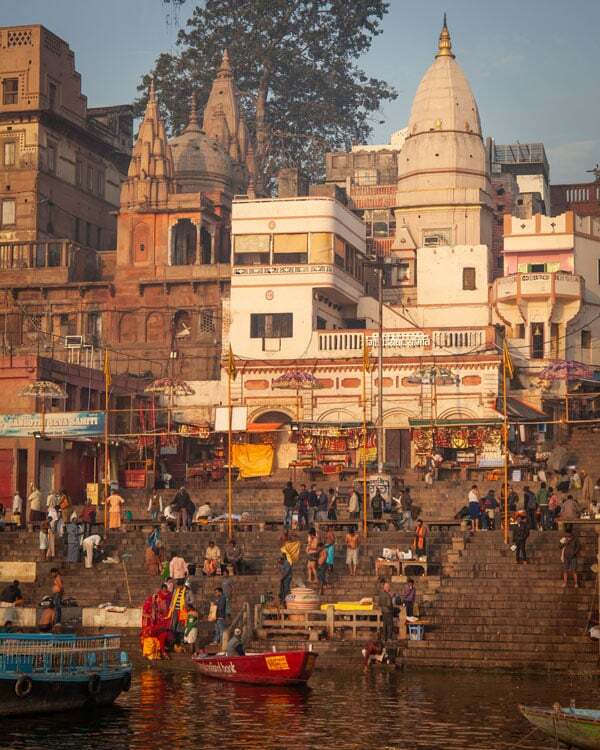 In search of our final flavor of serenity, we return to the Ganges. A fragile lady dressed head to toe in orange is bartering to sell her last few candles. In need of a way to say thank you and goodbye to the city, we buy her goods so she can bid work goodnight. The belief of the floating candles is that of respect. The river is the mother, and mothers should be respected. I paused at the banks of the dark water, cool waves gently probing at my feet, and close my eyes. Chants and ringing bells are accompanied by chirping birds softly in the distance, and I peek a little as I place the leaf basket delicately into the water. 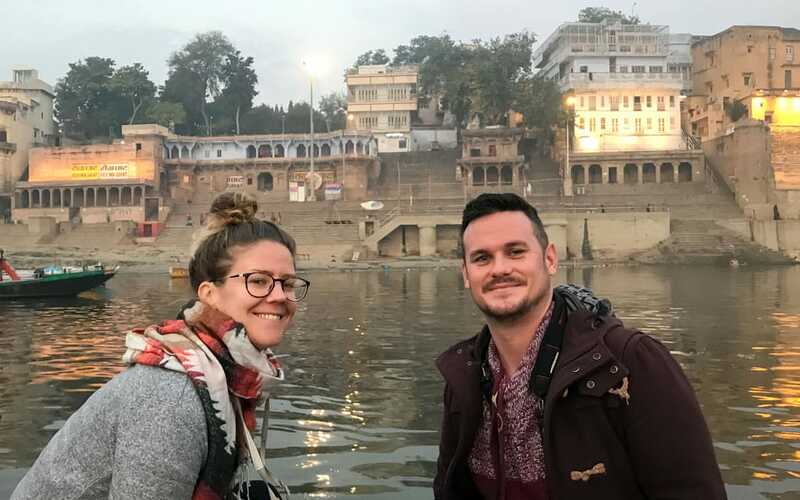 We share a look of sheer joy, all knowing how special our time in Varanasi had been, and climb the Ghats one last time. One more meal we nod in agreeance, then slip into a restaurant to chow down on panner with The Ganges as our background. If ever there was a pinch-yourself moment, this was it. Varanasi was everything I’d imagined and more. The grin on my face stayed with me from the first ceremony before dawn, through to tucking myself into bed on the last evening. This isn’t a city like Delhi, defined by its never-ending suburbs and modern high rises; it’s a slower destination oozing emotions and spirituality. Ornate houses play home to hostels, cafes and stores, while your eyes stay on permanent alert to the characters that define this Hindu hotspot. There aren’t many places I go that bring me both tears of joy and wonderment but here, into the river Ganges, they fell. I may not have made my forever resting place in Varanasi like so many who come here, but Varanasi certainly made forever memories within me. 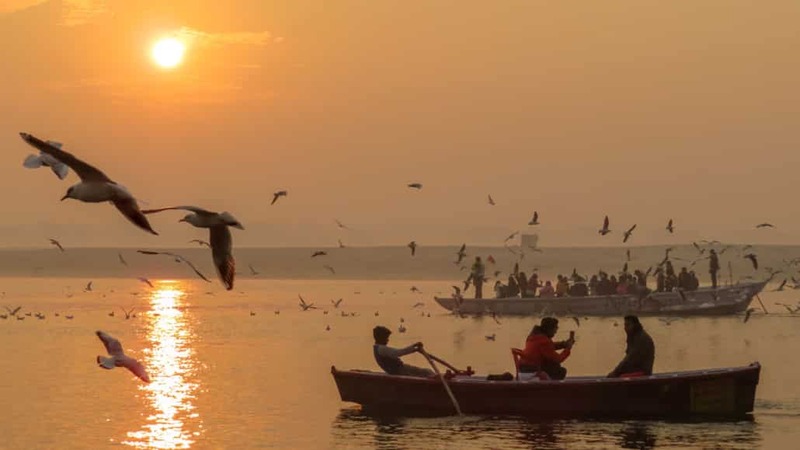 A few tips and insights to make planning your visit to Varanasi a little easier. 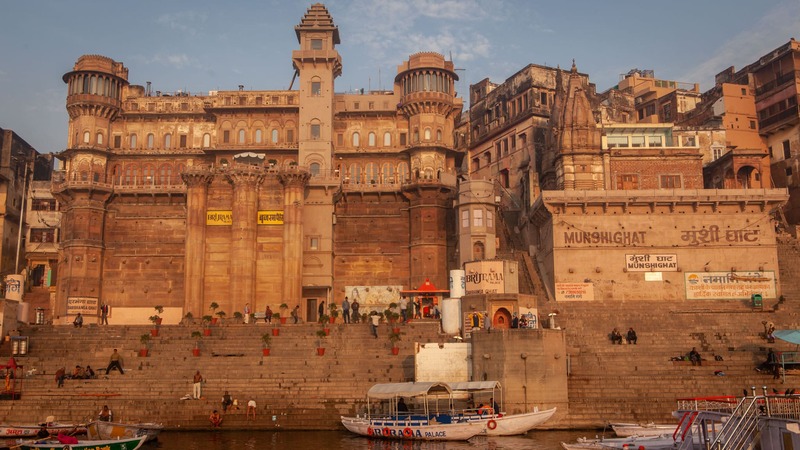 Where to stay in Varanasi on a budget: The Ganga Fuji Hostel gets excellent write-ups and reviews and is just a short distance from the Ghats. Prices are around £10 a night for a private or about £4 for a dorm. Where to stay in Varanasi like a baller: I stayed at the Ramada, a five-star hotel with a pool and spacious rooms around twenty minutes away from the city. It was in the Cantonment area where many of the resort hotels are. Where to stay in Varanasi for a unique experience: For those wanting some quality digs closer to the Varanasi Ghats, the BrijRama Palace is located along the Ghats and is a stunning converted palace and part of the heritage hotels collection. It’s pricy, but indeed a unique luxury accommodation well worth just taking a look at due to its impressiveness even if you can’t stay there. 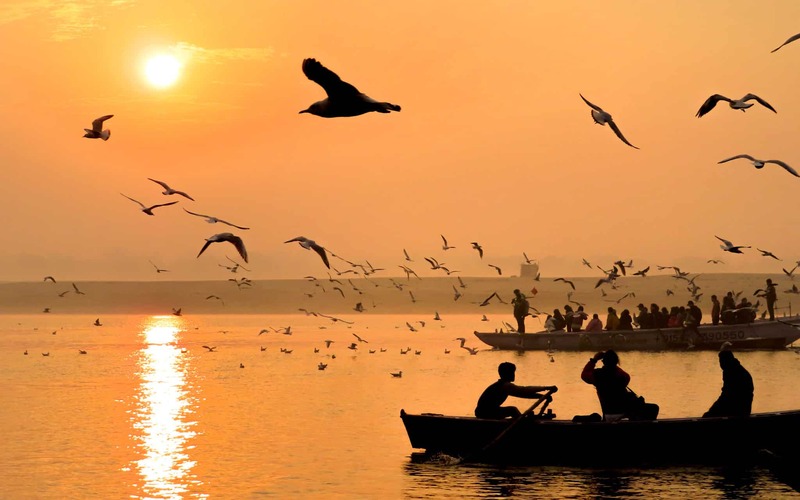 How to get to Varanasi: Flying into Lal Bahadur Shastri airport is the best way to reach the city, given distance can be far and trains long in India. The airport is well connected with domestic destinations ranging from budget to more premium airlines, and international airports are also served. As always, I suggest searching on Skyscanner for the best value fares. The journey from the airport to the central city took me around 40 minutes with a little traffic at a distance of 26 km. 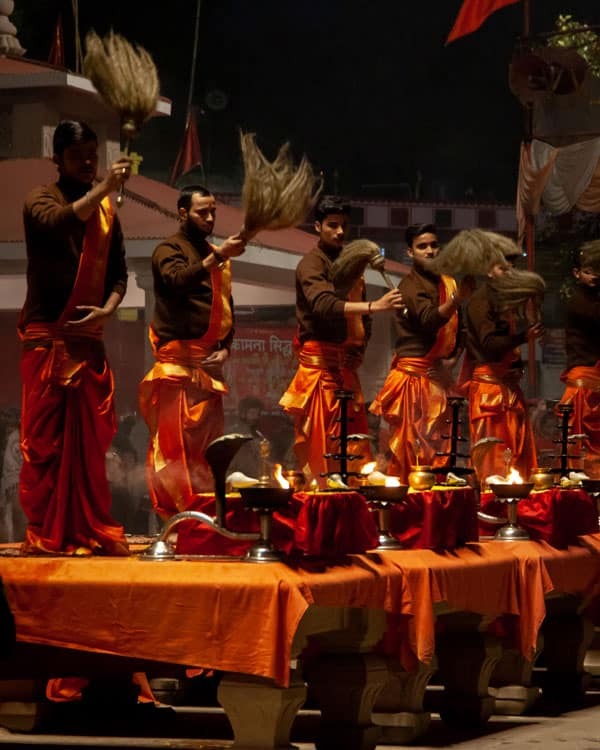 Where to go after Varanasi: Head off and explore more of the Uttar Pradesh region, such as Ayodha and Prayagaja, home of the Kumbh Mela. For those seeking the iconic, the Taj Mahal is in Agra, also in the region, and is a great place to begin the famous India Golden Triangle tour of Agra, Jaipur and Delhi. 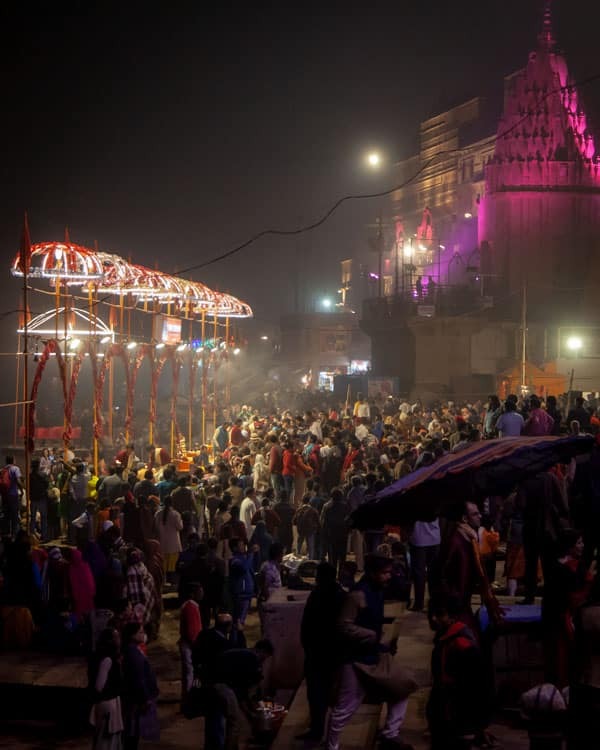 Accessibility in Varanasi: While the Ghats are steep and the laneways narrow, access to the waterfront can be made at points by vehicle and then a short journey out of the car. I only witnessed stairs right down to the banks but was told by a local some points can be ventured too by flat surface only. Produced in partnership with Uttar Pradesh Tourism Board and Lonely Planet Magazine India as part of the Kumbh Travel Writers Conclave. All editorial opinions remain my own. Today is the first day, i have searched in the google ‘Top travel bloggers,’ and Voila! the first name which is popped up, is yours, so I thought to visit your blog first, and guess what? I have been here since last two hours, as i am reading you more, i m being more curious to read your blogs, the way you write about places, reader can easily visualize that place, even when they haven’t visited once. And I am wondering how could you describe Varansi in exact words like any local could describe it. 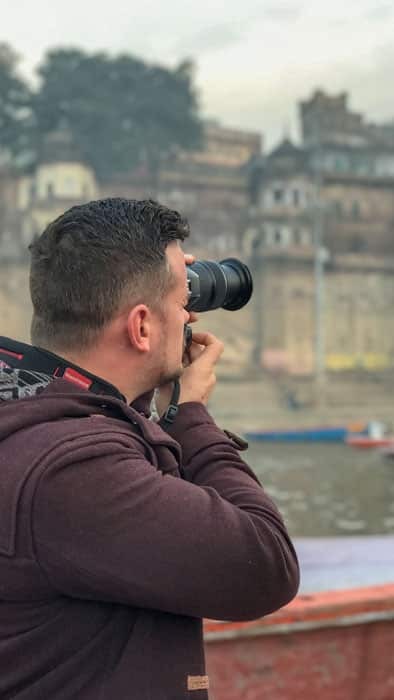 No-one is able to say you had visited Varansi only for few days after reading this article, and as an Indian, i am so mesmerized by reading your articles, great work bro, i am feeling like, i have just visited Varansi, Just Visited Perth, Fremantle.. keep inspiring bloggers and keep taking on visualization tour your readers. Thank you so much Janki!